Under the plans backed by the CCGs, the Royal Shrewsbury Hospital would become the main 24/7 A&E hospital for the area and would also be the base for the Women & Children’s Centre which is currently at the Princess Royal Hospital in Telford, opened at a cost of £28 million just four years ago. We are opposed to these plans. 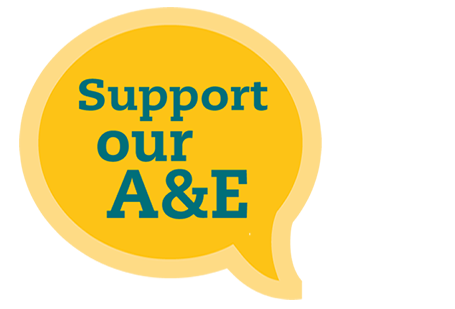 Placing the main 24/7 A&E hospital in Telford and keeping the Women & Children’s Centre where it is would be the best value for money option with the least inconvenience for people in Shropshire, Telford and Wrekin together with Mid Wales. • Choose an option that will see the NHS having to borrow £62 million more, when keeping a full 24/7 A&E and the Women’s and Children Centre at the Princess Royal Hospital can deliver identical services for everybody in Telford and Wrekin, Shropshire and mid Wales but for far less cost? • To move the Women & Children’s Centre away from Telford when it was opened there because of clinical need at a cost of £28 million just four years ago. Future Fit’s plans were overwhelmingly rejected by the public during consultation in 2018, both from residents in Telford and Wrekin Council’s area and the Shropshire Council area. We have repeatedly urged the Health and Social Care Secretary to intervene on a decision that makes no sense. We have now formally referred the matter to him because we want to do all we can to exhaust all avenues and avoid judicial review. With the community’s support, we have together fought long and hard against Future Fits plans and will continue to do so. If you haven't already, please join our campaign for a better NHS for everybody. By providing us with information below we will use this information to email you about NHS4all campaign activities and news about the FutureFit consultation. You can opt out of this email service at any time. We will not share any of your personal data collected with external organisations unless required to do so by law. We may process your personal data where we believe that it is necessary to perform a public task. For example, we will process your personal data to email you when an emergency is taking place. For further details on the council’s privacy arrangements please view the privacy page on the Telford & Wrekin Council’s website.